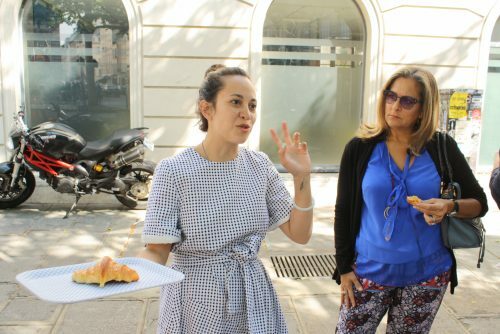 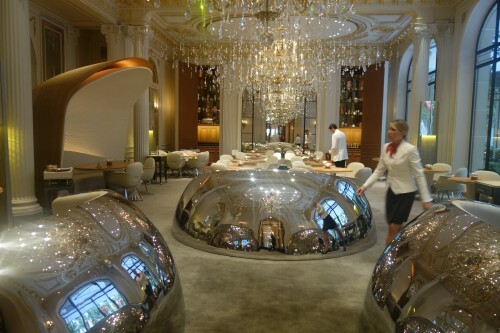 Alain Ducasse, who is is often described as the “most Michelin starred chef in the world,” lost some twinkle when his eponymous restaurant at the Plaza Athénée closed last year for renovations. 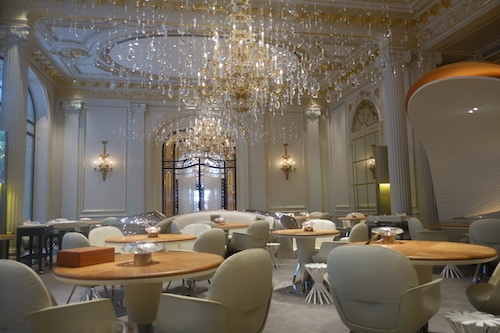 It will reopen on Monday with a revamped décor by designer Patrick Jouin and a dramatically re-envisioned menu that celebrates fish, cereals and vegetables. 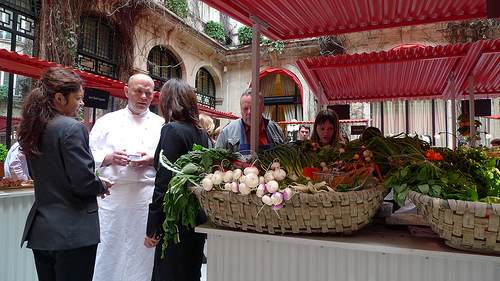 No meat, or rather less meat. 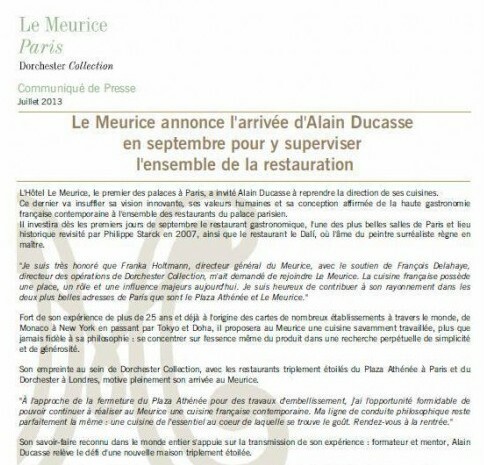 Three-star restaurant Le Meurice has announced that Alain Ducasse will be taking over its kitchen in September.